Zol Zayn, Yiddish for what if, the exhibit is comprised of four site-specific video installations titled Almost Always, The Pile, End(s) of the World and Prodigal Sun. Join us as at the Lomography Gallery Store LA as we welcome the creator of The Mobile Pinhole Project, Nina Becker, to talk about her love of pinhole photography and how her project came about. Stay with us after the workshop to build your very own pinhole camera. Becker selected to present her work at Seder Micro-Grant Event. Come enjoy a meal and help support great artist projects! 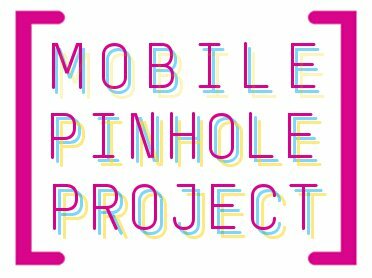 Becker is awarded Artist Bailout Grant for the Mobile Pihole Project. Becker will be instructing a ten week course through a joint LACMA/Heart Project Initiative. Stay tuned for the student exhibition at LACMA as part of the Caifornia Modernism Exhibition. Read more about the course here. A site specific installation of mine will be featured as part of the Richmond InLight 2012. For this installation "....i will project the positive and negative of each image into each other, so that they intersect, creating a ghost like outline of each image in the space between the two projections...Conceptually, this project uses light and photography to reflect on the operations of memory and visual residue of trauma..."
The Mobile Pinhole Project begins it's Annual fundraising campaign: help us support the creative leaders of tomorrow! Donate today! Five invited panelists elucidate the term author. The participants are graduate students, Nina Becker (Studio Art, UCI), Marisa Cohn (Informatics, UCI) and Burcu Polat (Comparative Literature, UCI). The discussant was Antoinette Lafarge (Studio Art, UCI) and the moderator was Kavita Philip (Women's Studies, UCI).